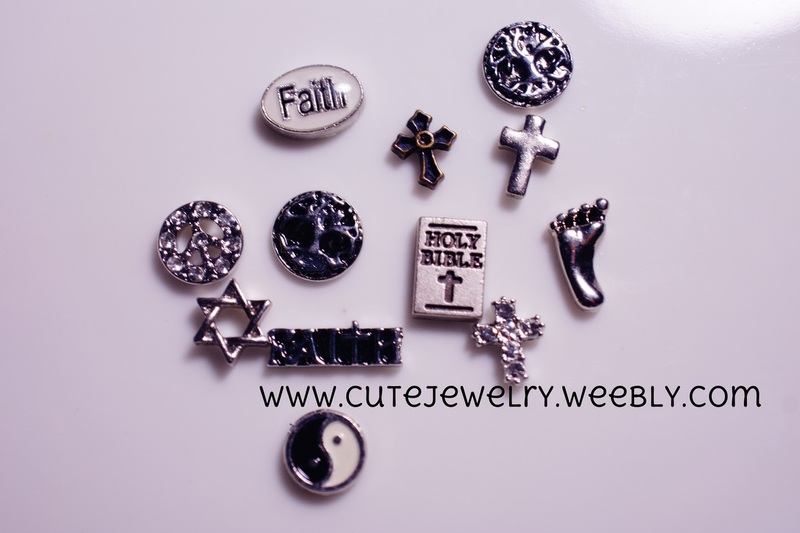 We have a vast variety of charms to put in your floating charm lockets. 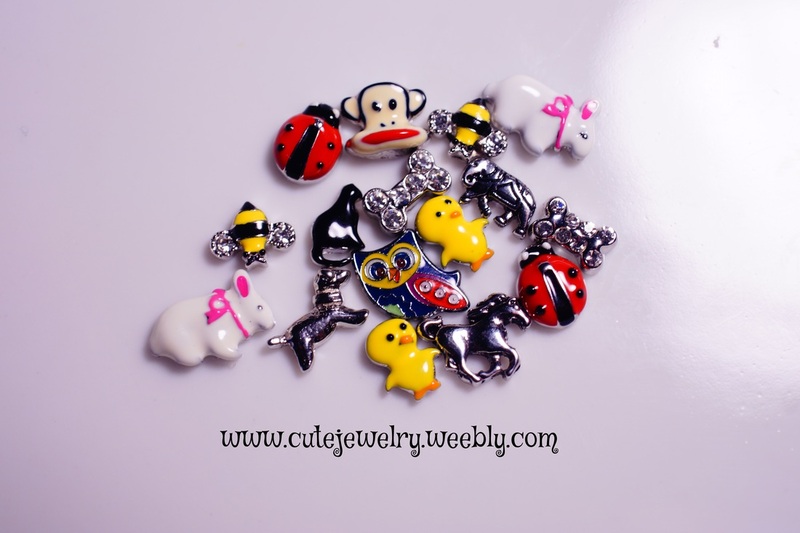 Everything from Animal Charms, to Sport Charms, even Service Charms! I love that with just a handful of floating charms from South Hill Designs, I can create a different look every day! I get so many compliments on my floating lockets and I feel like I ALWAYS have the right look for whatever I am wearing or wherever I am going! No more scrounging around the jewelry box trying to figure out which necklace will work with my outfit. With South Hill Designs Floating Glass Lockets and Floating Charms, I am always dressed to impress, even when I hop over to the grocery store! And don't forget to check out are awesome Coins and Screens to use as a background! Not to mention I can upgrade my chain or add a droplet depending on my mood or what I am wearing as well! 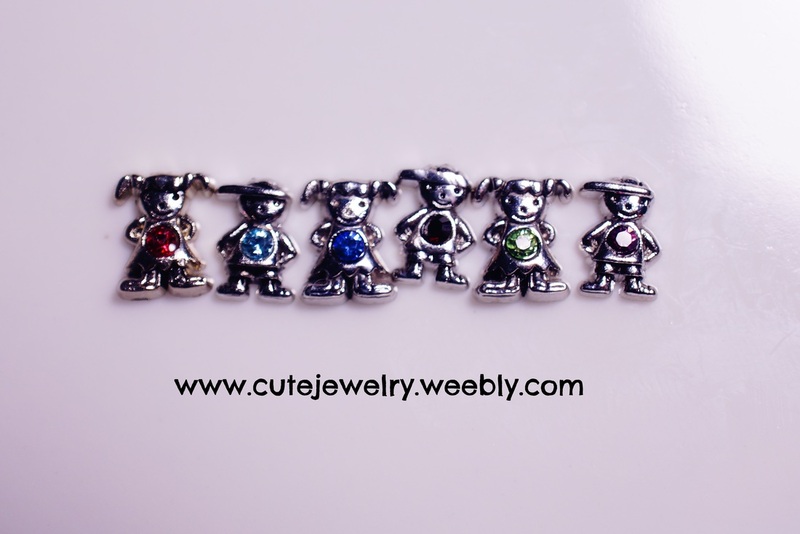 See some examples of our awesome floating charms below! South Hill Designs has two types of accents--crystals or pearls. We have many colors to choose from. 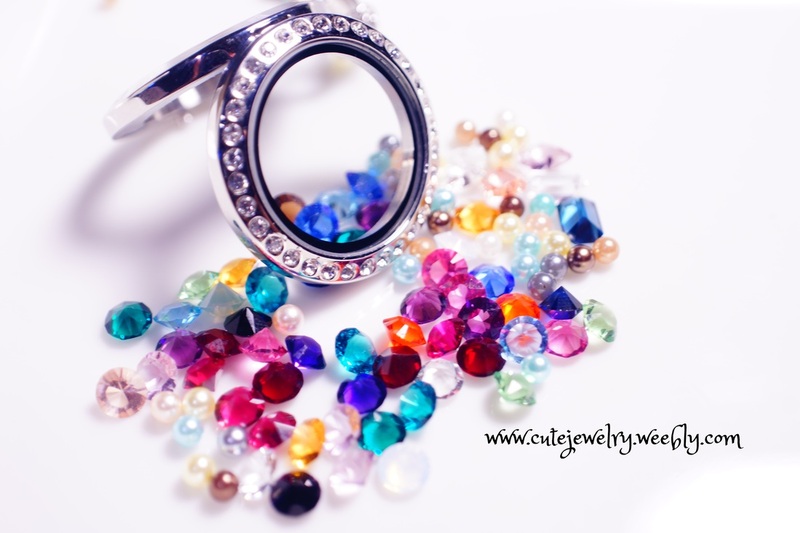 Head on over to www.southhilldesigns.com/cutejewelry to see all we have to offer! 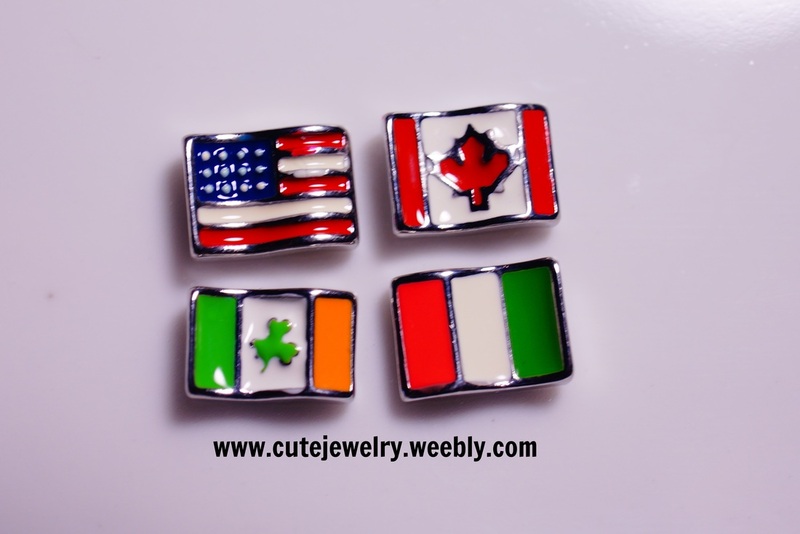 flag charms! View many more at www.southhilldesigns.com/cutejewelry! Who doesn't like food!? 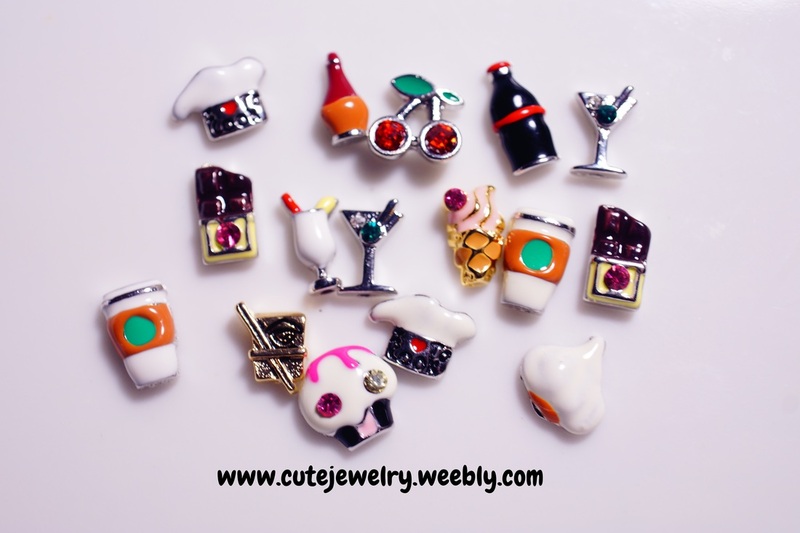 Find your favorite food charm at www.southhilldesins.com/cutejewelry. From your daily cup of coffee, to the adorable cupcake, we have you covered! Where would we be without love? 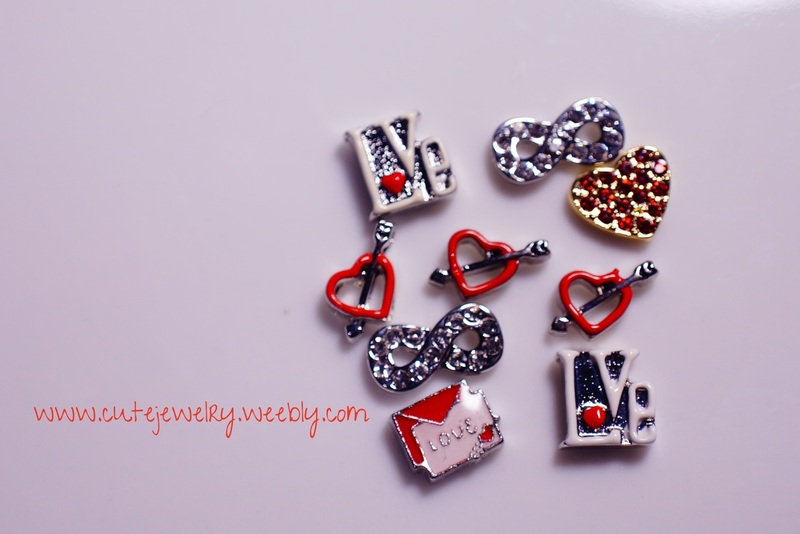 Celebrate that love with one of our many Love Charms. A great way to celebrate Valentine's Day. See all we have to offer at www.southhilldesigns.com/cutejewelry. Music makes the world go 'round! 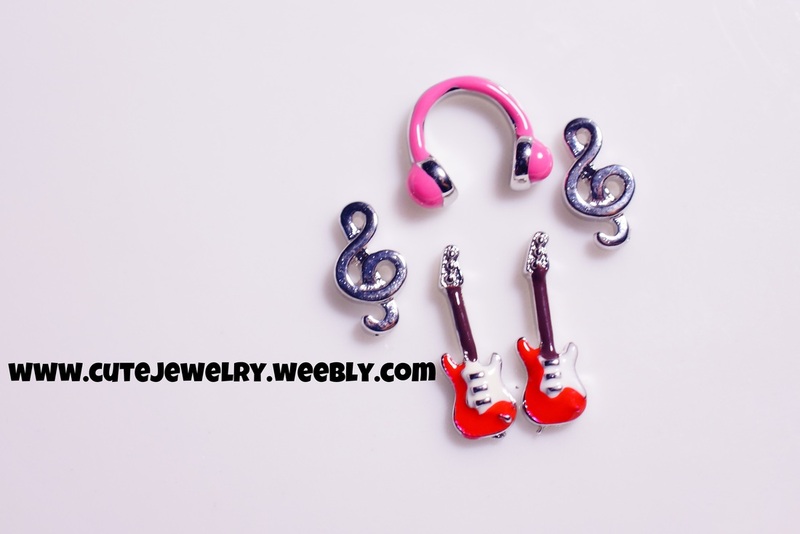 We have many ways to show your love for music with our Music Charms. See a lot more at www.southhilldesigns.com/cutejewelry. With so many sports, who can keep up? Put your favorite Sport Charms in your floating locket. 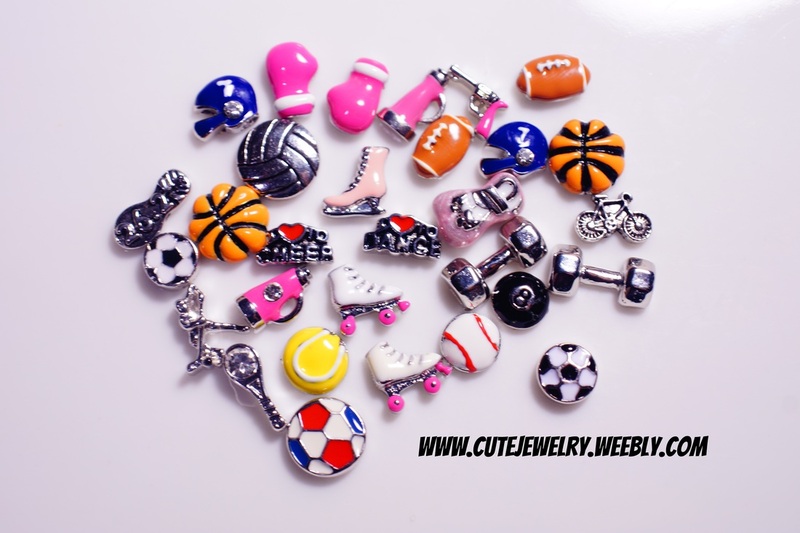 And look for other Sport Charms at www.southhilldesigns.com/cutejewelry. 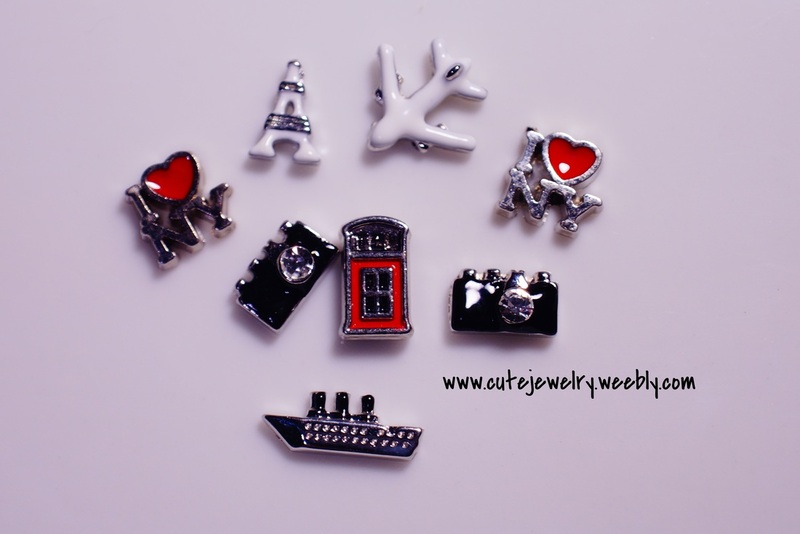 Celebrate all the places you travel with our Travel Charms! See all the other Travel Charms at www.southhilldesigns.com/cutejewelry. 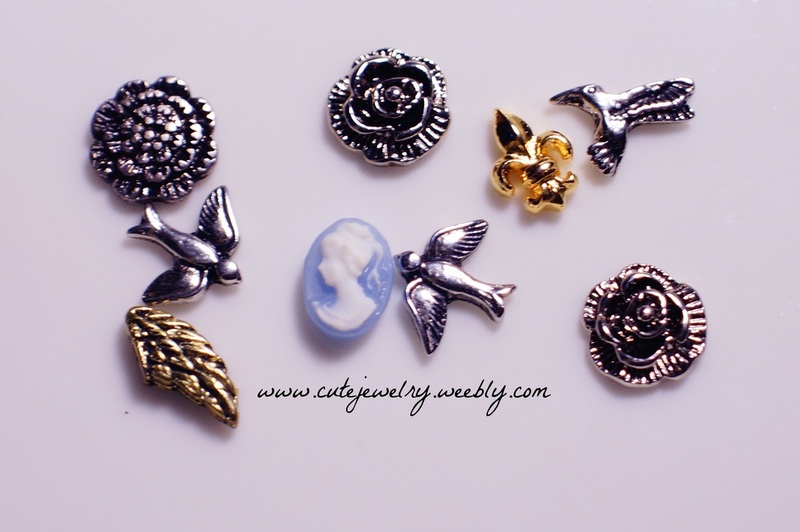 I love the classic taste of our Vintage Charms in our floating lockets. See all the other Vintage Charms at www.southhilldesigns.com/cutejewelry.